So I recently read a blog post by Amy at blondeamy.co.uk raving about the Macadamia Oil Extract range you can pick up from most 99p stores. I know you can pick these up in other stores as well such as Savers and Home Bargains, so while I was in Cardiff this weekend I popped in to see if they had them in stock! 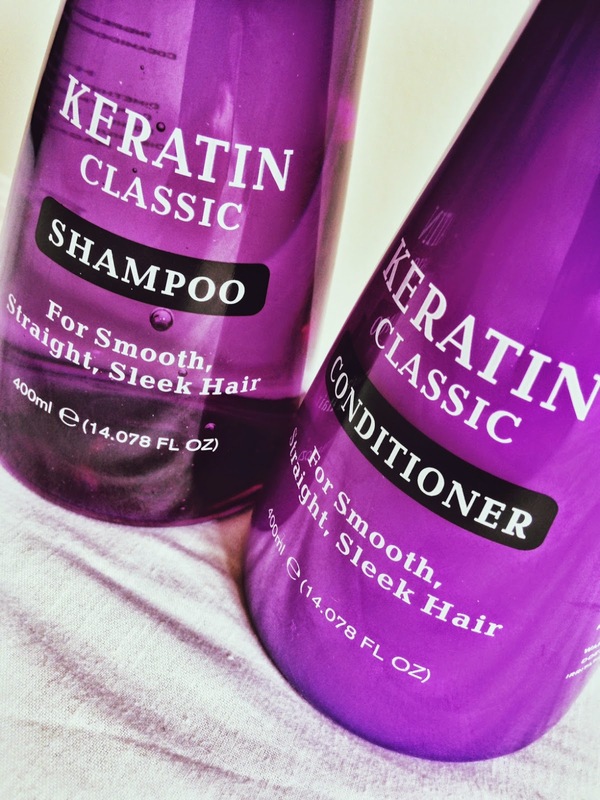 Unfortunately they didn't have the full range, but these Keratin Classic products caught my eye and so I picked them up instead. The packaging is simple and looks much more expensive than the £1 I paid for them! 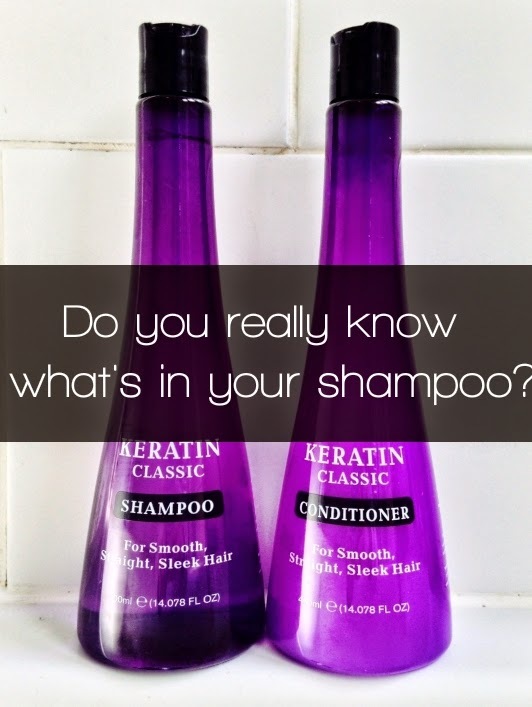 I thought since I'm reviewing these "Keratin Classic" products I should probably read up a bit more about keratin and the other ingredients listed on the bottles so I can impart my new-found wisdom with you! So treatments and products containing keratin have been around for a while and claim to smooth and straighten hair. Keratin is a protein and your hair is made up of around 80-95% keratin. When this protein is applied to the hair as a treatment, it is absorbed and improves the hair's texture, elasticity and strength. The ingredient found in most keratin products, including the Keratin Classic shampoo and conditioner, is called hydrolysed keratin, and this basically mean that the protein is broken down into smaller segments which makes it more effective for bonding to the hair and repairing it. Products containing this ingredient are great if you use heat on your hair a lot (me) or colour it regularly. However, just bare in mind that using protein too much will eventually damage your hair more than it repairs. Relating this back to the actual product, the ingredient hydrolysed keratin is not too high up on the ingredients list (about 8th or 9th) so its not particularly protein-heavy. With this in mind, I thought "great! A cheap product with lots of benefits!" but I thought it would also be wise to look at some of the other ingredients. There has been a lot debate about the use of ingredients such as Sodium Laureth Sulphate (SLES) and Sodium Lauryl Sulphate (SLS) in cosmetics due to some studies finding health risks after long-term use of products containing them. However, thousands of brands (including LUSH cosmetics - a brand I've loved and trusted for years) use these ingredients in their products still and there is a lot of research contradicting those that found health risks. For me, finding these ingredients in products does not particularly bother me, but I thought I should mention it in case this puts you off purchasing these products. Enough of the science lessons. So I used these products for the first time today and so far I'm really impressed! The scent is lovely and fruity (quite a generic smell but pleasant nonetheless!) and the consistency and applicability of the product is as you'd expect for any good shampoo and conditioner (I say this because I used another cheap hair product recently and the consistency was really odd and gloopy and it really put me off the product). 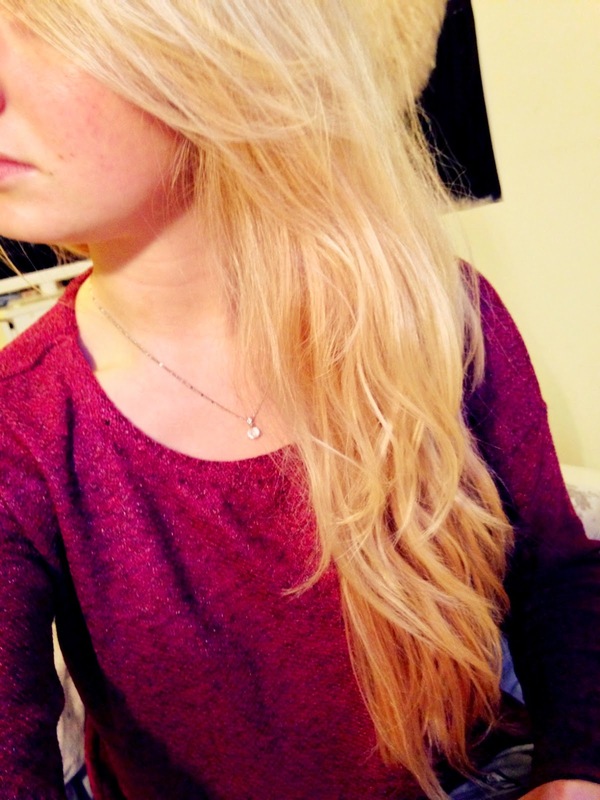 I let my hair dry naturally and it feels so smooth and looks healthier and shinier already! I'd definitely recommend this product to anyone on a budget who isn't too fussed about sulphate ingredients. Let me know in the comments what you think too - have you used similar hair products before? Do the benefits of these low budget products outweigh the cons? I never even think to look at the labels about what is in my products. Pretty bad really and something I should start doing. I've been buying my argan oil heat defence spray from home bargains for a few months now. Pretty happy that it is 99p but reading this I'm going to double check the ingredients to know what I'm using on my hair! Thanks for the post. Just bought some Keratin Classic conditioner for 99p, for the first time, reading your review I'm glad I bought it and am looking forward to using it!! It's such a bargain, if it's as good as you say and the packaging is really gorgeous. I had extremely dry, curly hair. I started to use this with minimum expectation because of its price.. But voila! It fixed my hair frizziness and reduced split ends in like no time. definitely a great bargain! That wasn't a science lesson. Just used it for the first time too. Bought it because of the nice bottles its in.Cant believe how good my hair are now. My new favourite. Also the price is amazing for such a good product!! !